(www.yurizaidenberg.com) was born in Kiev, Ukraine. He began playing violin at the age of seven. After post-graduate studies at the Moscow Conservatory with Professor Valery Klimov, a disciple of world well-known David Oistrakh, he appeared in many concerts and on radio and television throughout the former Soviet Union. Before leaving his native land he held teaching positions at the Rachmaninov State Conservatory (University), Russia, Turkmen National Conservatory (University) and the Special Music School for Gifted Children, Turkmenian Republic. 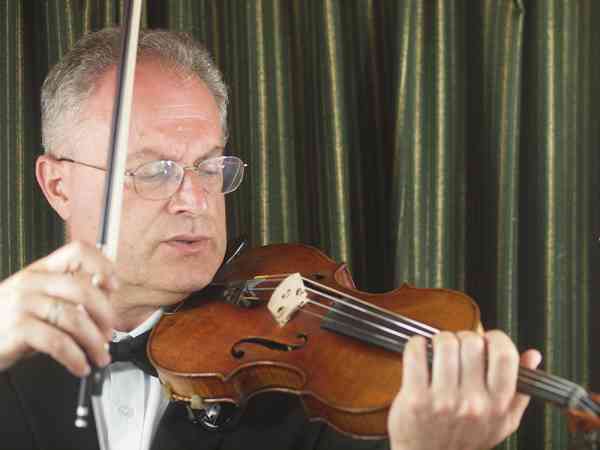 Since coming to Toronto, Canada in 1991, he is much in demand as a concert soloist, also performing in various chamber music groups and as a concertmaster and member of several orchestras. He was invited to teach and perform on two International Music Festivals in South America (Bolivia), Blue Lake Music Festival (Michigan), InterHarmony International Music Festival (Germany), International Music Festival in Gulangyu (Xiamen, China). Mr. Zaidenberg presented the Canadian premiere of complete works for violin and piano by Russian contemporary composer Alfred Schnittke. He was a founder, artistic director and performer of the “Russian Musical Heritage Series” concerts, representing a variety of Russian classical and contemporary music. His released CD with rarely performed violin sonatas by J. Brahms and the “Ouasi una Sonata” by A. Schnittke which received high critical acclaim for original interpretive insight and impressive performance. As well as enjoying a very active performing life Yuri Zaidenberg has achieved great success as a violin and viola teacher and chamber ensemble coach. His more than 40—years of teaching experience helps him to maintain a very busy and successful pedagogical career. His students take a part in music festivals and competitions across the Canada and world. They have won hundreds of awards and scholarships, performed as a soloists in a different venues from Carnegie Hall in New York to local events, were soloists with orchestras or played in chamber ensemble groups, participated in a different concerts, National and International Music Festivals and Competitions and achieved success in Royal Conservatory of Music exams with high marks and Gold Medals and continued their musical education in the universities. In the various positions Mr. Zaidenberg has held such as Professor of violin, Lecturer of violin methods and pedagogy and Head of a scientific research laboratory of music performance and education in the university, he has acquired the skills which allow him to use many different pedagogical approaches in his work including Suzuki Method (Japan), Paul Rolland’s Method (USA), the traditions and innovations of famous European and Russian Violin Schools, educational and music psychology and personal teaching experience. Yuri is a certified specialist in violin (all grades) of the Royal Conservatory of Music and certified Suzuki violin teacher. Since moving to British Columbia, Canada in 2006, Yuri joined faculties of Richmond Music School and VSO School of Music. He lives and maintains his private violin studio in White Rock B.C. Yuri teaches and performs in International Music Festivals, performs in concerts and musical occasions in British Columbia and serves as an adjudicator in competitions and festivals throughout the Greater Vancouver Area of British Columbia.